Wednesday 11 – Saturday 14 February. 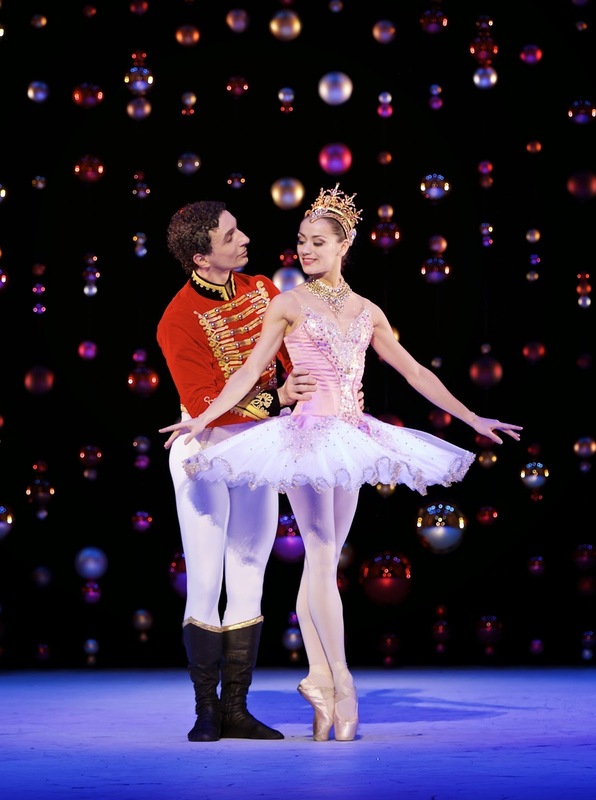 A dazzling world of dancing snowflakes, sumptuous sweets and a spectacular sugar plum fairy await ballet fans at Newcastle Theatre Royal as Scottish Ballet returns with family favourite, Peter Darrell’s The Nutcracker from Wednesday 11 – Saturday 14 February. The production is a re-creation of the ballet originally produced over forty years ago by Peter Darrell, Scottish Ballet’s founding Artistic Director - a famous story-teller and an incredible dance-maker. in Peter Darrell’s The Nutcracker. Peter Darrell’s magical world of The Nutcracker has been re-imagined for today’s audiences by Olivier Award winning designer Lez Brotherston, adding sumptuous layers of plush Victoriana and traditional festive fare to the original 1973 production. “This production will be as close to Peter’s original as possible - the point of bringing the production back is to see his beautiful, intricate choreography,” adds Hampson. “In terms of design, I asked Lez to take inspiration from the original designs. So, although they are different, there will still be a sense of the original production. “The brief of the piece was unusual in that it existed before. It’s Peter’s production and it still feels like that – as it should do,” says Designer Lez Brotherston. “Peter’s original designer was Philip Prowse and that feels quite meaningful to me personally. Philip’s work was of great inspiration to me when I was at art school – he tutored me on my final-year designs and his influences have stayed with me. “It’s still set in the 1870s and has that sumptuous, rich Victoriana feeling – and there are bustles and tutus of course, but some of the costumes have been adapted to better show off the dancers’ line and the choreography. Darrell's enchanting production has sparked the ballet careers of many young dancers who performed the roles of Clara and her brothers - including Scottish Ballet Principal Dancer Christopher Harrison who has seen his own dream come true and will be this time performing the star role of The Prince some twenty years later. Once again Scottish Ballet welcomes a very special cast of young dancers to the ranks of the Company's professionals for this inspiring production in which Clara, the littlest ballerina, is the one who visits the many magical worlds and saves the brave Nutcracker Prince. The Scottish Ballet Orchestra will also accompany the dancers live, performing the world famous Tchaikovsky score.